The entire strength of the battalion has been drawn from the four districts of Bastar region and 33 per cent of the personnel are women. NEW DELHI: The Bastariya Battalion of CRPF is all set to be operationalized by March next year and will be deployed in the Naxal-infested Bastar region of Chhattisgarh. The entire strength of the battalion has been drawn from the four districts of Bastar region and 33 per cent of the personnel are women. This is for the first time that a composite battalion comprising men and women has been raised and is being trained collectively at a training facility. Till now, there were exclusive male and female battalions in the CRPF. 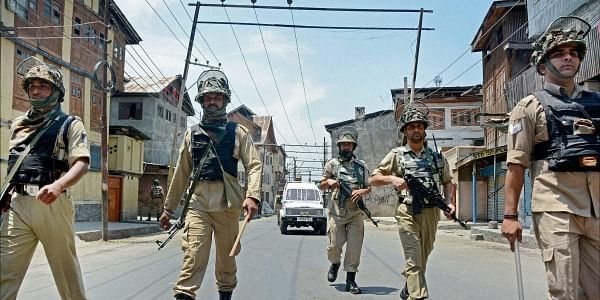 A full battalion manned by tribals from a particular region is also happening for the first time in any of the paramilitary forces, CRPF officials said. “The strength of a battalion is 1,000 personnel and the number of constables is about 750, all of whom have been recruited from Sukma, Narayanpur, Bijapur and Dantewada districts of Chhattisgarh. Over a 100 support staff like cooks and tailors besides officials will also be drawn from Bastar region,” said a senior CRPF official. The battalion will be deployed in the Bastar region for a period of five years. Earlier, a regimented battalion was raised in Jammu and Kashmir and all the personnel were drawn from the surrendered militants. The recruits are being trained at the Auxiliary Training Centre at Ambikapur in Chhattisgarh and their training is expected to be completed in March. Following the completion of training, they will be deployed in the operational areas of Bastar region, the official further said. The idea of raising an exclusive Bastariya Battalion is to counter the Naxals through the local inhabitants who are well versed with the terrain and dialect of the area. The familiarity with the terrain and dialects comes in handy during operations against the ultras. The Naxals are also good at mimicry for communicating with their cadres and the tribal personnel of the exclusive battalion will be able to decode such signals, especially during operations. The personnel in the battalion with physical features and language common in the area will help them go unnoticed in civilian clothing and will be able to evade the ultras. While the training of the Bastariya Battalion is at par with any other battalion of the Force, the training modules have been further refined as per the operational requirements of the Bastar region, considered the worst Naxal-affected pocket in the country, officials added.